Educational content is the mainstay of video for brands – with over 90% of marketers believing that educational content is the real purpose of video. McDonald's does a real good job with this. They create fun and engaging videos on Twitter which includes their products as the center of every story they tell. It’s smart, innovative and playful and definitely drives engagement. If you want to tell a story that’s fun, educational or even a promotional, video is an important tool to use because people respond well to visuals in audio+video format. Twitter givens your brand the power of being in the here and now – sharing real time events as they unfold. 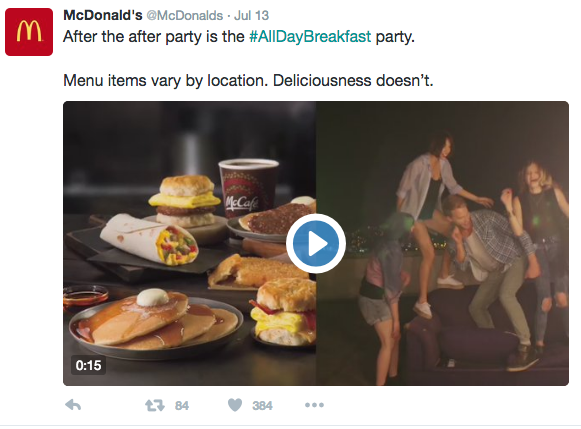 Top brands use Twitter's native video format to cover events as they’re happening. Twitter video allows for more engagement and interactivity by involving followers in the big event if they can’t be there. 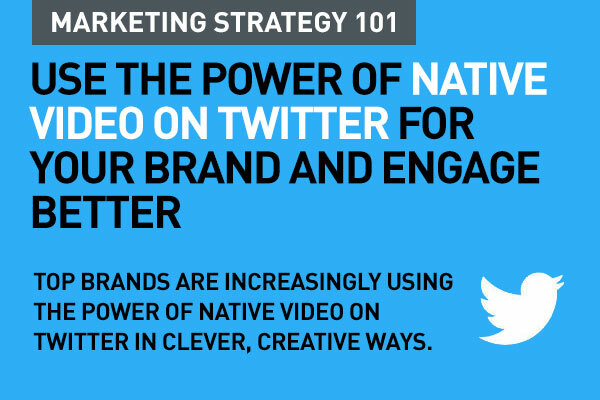 Plus, Twitter video stands out in the fast-moving Twitter feed so your brand message gets more attention. Video content can also be created around a trending event on Twitter – when it has some connection to your brand or product. Get your followers to create video content around your brand. 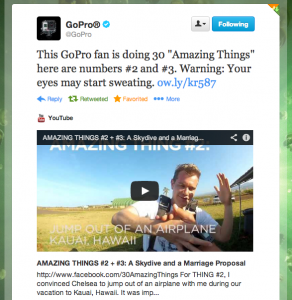 Ask users to contribute video content that involves your product. Run a content creation contest for video which you can build around a hashtag. GoPro does this really well. It regularly asks followers to send in videos and shares a video of the day with followers. Liven up your brand conversations in video format. It goes a lot further with engagement than a simple tweet. Video is a great way to use twitter for customer service. Imagine, quick solutions and answers in video format, rather than just a 14o character tweet. Your followers will really benefit from the actual demo or the how to video. You can create a series of video tweets built around a hashtag to develop a twitter chat. With Twitter Engagement metrics, you'll know what type of video content resonates with your audience. The option is available in your profile and lets you view the metrics of every tweet you send. Now you can see how many views your video got, how many people engaged with it and whether it had any retweets. Include successful elements and styles in future videos that you put out on Twitter. Native video always gets better engagement and interaction on Twitter or Facebook. These suggestions are very good. Thank you.